"‘SHENANIGANS: IRISH CELEBRATION!’ at the Actors Temple Theater...Written by Brian Barrentine, the creator of Funikijam World Music, an organization presenting world-music classes and programs for children, “Shenanigans” offers Irish songs and stories for theatergoers 10 and younger...Mr. Barrentine stars, along with his Agents of Jam and guest performers from the Aherne Sheehan School of Irish Dance." The SiAngie Twins take their Irish swag dancing talents to Times Square! Taught by Elise Wright of the Aherne Sheehan School of Irish Dance in Manhattan. "Off-Broadway's newest hit, THE SIGNATURE PROJECT, opened March 11th at the Sheen Center to unanimous rave reviews. 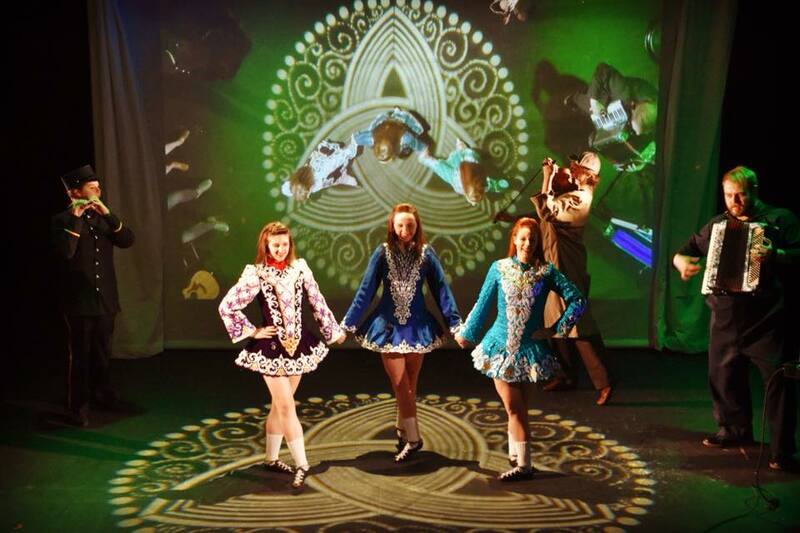 The producers of the multi-sensory theatrical experience recently announced that different Irish dancers are scheduled to make a special guest appearance at each performance in a segment choreographed by Elise Wright of the Aherne Sheehan School of Irish Dance. The youngest of these performers, 9-year-old Grace Roche, is set to make her Off-Broadway debut at this Sunday's 3 pm matinee." "Step-dancers with glittery costumes parade; choreography by Elise Wright is perfected."